AdWords Match Types: What Are Keyword Match Types & How Should You Use Them? When bidding on a keyword in your PPC campaigns, you need to choose a keyword match type, which tells Google how aggressively or restrictively you want it to match your advertisements to keyword searches. There are four different keyword match types to choose from when advertising with Google Ads (formerly Google AdWords). In this tutorial, you’ll learn the four keyword match types and how they differ, as well as why keyword match types are important to the success of your PPC ad campaigns. What Are the Google Ads Match Types? When creating a text ad in your PPC campaign, you can select broad match, modified broad match, phrase match, or exact match for your keyword match type. 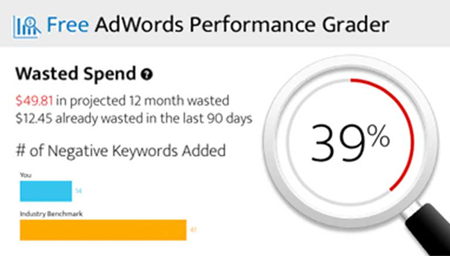 Each match type in your AdWords account has its advantages and disadvantages. Broad match is the default match type and the one that reaches the widest audience. When using broad match, your ad is eligible to appear whenever a user’s search query includes any word in your key phrase, in any order. For example, if you use broad match on "luxury car," your ad might be displayed if a user types "luxury cars," "fast cars," or "luxury apartments." Google may also match your ad to queries using synonyms – for example, your ad might display when someone searches for “expensive vehicles,” which doesn’t include any of the terms in your keyword. Two of the ads that displayed are for other kinds of benches, and one is for piano lamps. These don't match the intent of the search query well. You can set up negative keywords to help prevent your ad from showing on searches that aren’t related to your business. For more information on negative keywords, get our free Guide to Controlling Costs with Negative Keywords. Modified broad match can be viewed as a sort of middle ground between broad match and the more restrictive match types below. It allows you to reach a similarly wide audience, but better control who sees your ad by “locking” individual words in a key phrase using the “+” parameter. When you add the plus sign in front of a term in your keyword, you’re telling Google that the search query must include that term. For instance, let’s say you enabled modified broad match in AdWords for the keyword “gel batteries.” If you append the “+” parameter to the word “gel,” Google can only match your ads to queries that include the word gel. If you append it to the word “batteries,” search queries must include that word before you ad can enter the auction. Phrase match offers some of the versatility of broad match, but like modified broad match, introduces a higher level of control. Your ad will only appear when a user queries your key phrase using your keywords in the exact order you enter them, but there might be other words either before or after that phrase. For example, if your key phrase was "pet supplies," your ad could appear when a user searched for "pet supplies," "discount pet supplies," or "pet supplies wholesale," but not for searches like "pet food," "pet bird supplies," or "art supplies." Since the query can contain text before or after your keywords, there is some flexibility, but you are leaving a lot of potential traffic on the table. Exact match is the most specific and restrictive of the keyword match types. In previous years, with this match type, users would only see your ad when they typed your exact keyword phrase by itself. For example, if your keyword phrase was "black cocktail dress," your ad would only be eligible to show up when a user searched for "black cocktail dress" (those words in that exact order) and not for "cocktail dress," "black dress" or "expensive black cocktail dress." However, Google has recently made changes to the exact match type so that even when using exact match keywords, your ads might match to searches containing synonyms, plurals, or other variations on your keyword. Learn more about these changes in this article. On the plus side, users who click on your ad when searching for that exact phrase are more likely to be interested in your product or service, so using exact match can reduce unwanted costs and keep conversion rates high. On the down side, you will have less traffic as a result of your restrictions, because these more specific search queries have lower search volume, and you won’t get as many overall impressions. How Do Match Types Affect Your Search Ad Results? Performance to Date — How a keyword or similar keywords have performed can give you insights into which match type will provide the best return on your investment. Competitors — How your competitors bid on certain terms and structure their own accounts, as well as how their accounts have performed historically will all impact the return you see from certain match types. Bids — Cost per click and cost per conversion are heavily impacted by bids – often advertisers employ various methodologies for manipulating bids and frequently bid more or less aggressively based on the match type – this can strongly influence which match type is most appropriate. Ad Text & Account Structure — Many advertisers will break out a “money” keyword and run it on broad, phrase and exact match types – perhaps even segmenting those match types out and writing specific ads for each. The way an advertiser structures an account can also have a massive impact on performance for different match types. Optimizing your use of Google Ads/AdWords match types is crucial because it allows you to reach your target audience while avoiding unnecessary spend on irrelevant clicks. Learn more about optimizing your match types in our Matching Options Guide.